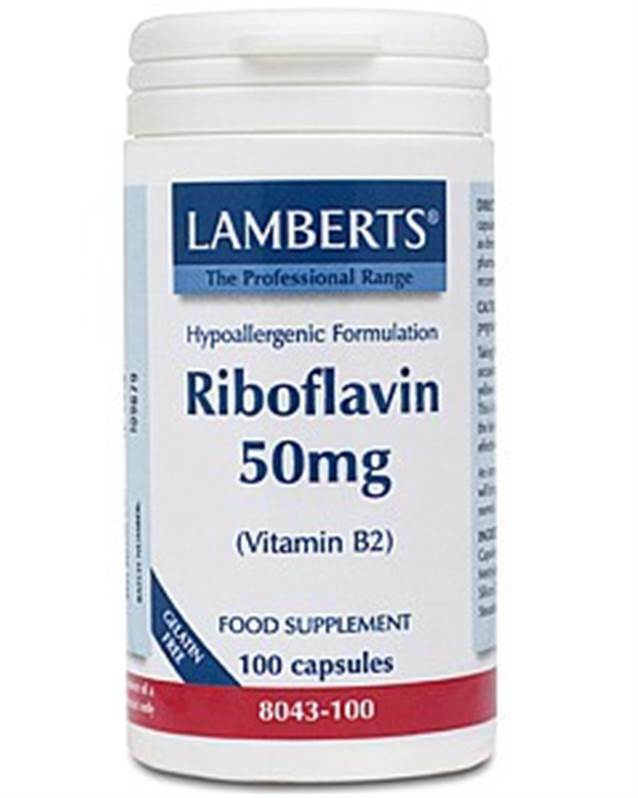 Lamberts Riboflavin (Vitamin B2) - repair and maintenance of soft tissue, and manufacture of red blood cells. Riboflavin (also called vitamin B2) helps in the repair and maintenance of soft tissue and is involved in the manufacture of red blood cells. Daily intake: 1 to 2 capsules. Encapsulated With : Cellulose Capsule Shell (Hydroxypropyl Methylcellulose) Silicon Dioxide Magnesium Stearate. Taking this product may occasionally result in a darker yellow colouration of the urine. This is harmless.